Nice flooring can impact the look and value of any home. This room enhancer comes in various styles, shapes, colors, and materials, and with this many choices in your grasp you can transform any dull space into an area that fits your taste and lifestyle. With that said, maintaining its appearance is just part of the package. When people think about floor cleaning, they usually associate the act of sweeping or vacuuming, patting, and the occasional scrubbing jobs. Of course, these methods do keep your carpets and hard wood floors lively, but there are some situations that the simple DIY and home remedies cannot get rid of the dirt or stain. Carpets and rugs, especially those made from delicate materials, can easily grab on to miniscule debris due to their fibers. Albeit, cleaning them through easy techniques might work but overtime, their affects will do more harm than good. Harsh cleaning products can burn through your carpets and rugs or make the colors fade. Hard scrubbing and vacuuming can tear off essential pieces, and dousing the afflicted area with water will make it difficult to dry. Moreover, using the incorrect cleaning method will result to an imperfect cleaning job and thus, exposing your living spaces with various bacteria and noxious substances. Hard wood, laminate, ceramic and tile floors also have their benefits and challenges. Many cleaners leave a waxy coating, leaving it looking dull over time. Grout can become dingy. After a while, sweeping leaves your floor looking only slightly cleaner. This is when you know it is time to call in the professionals. There are a lot of problems that come with having an unhygienic floors, and its visual aesthetic is the least of your concerns. Residues coming from sewage, pet excrements, and other harmful liquids, can get stuck between the fibers of your carpets and flooring and become uncomfortable places for sensitive people to rest. Furthermore, cluttered spaces are ideal homes for vermin, mold, and the like, thus making your living spaces inhabitable by and by. If you think that your cleaning methods can no longer give your floors the shine it needs, then contact Best Cleaning and Disaster Restoration Services, and we will be glad to do the job for you. With more than 20 years of experience on our shoulders, we know the right tools, products, and methods, to make sure that the luster returns to your carpets, tile, rugs, wood, or laminate floors. No longer will your need to experience discolorations, soggy carpet areas, and rough surfaces. Interested clients can reach us by dialing: 970-235-9151. You can also visit our contact site here for further questions and details. 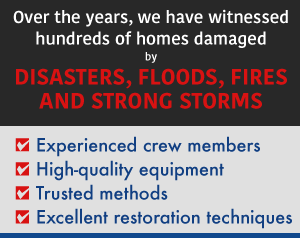 We offer excellent cleaning and restoration services, so if you encounter any damage caused by water, fire, and the like, you can count on us as well. 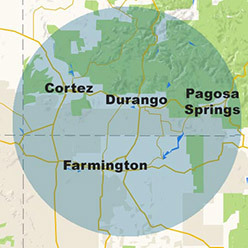 We proudly service properties located in the areas of the greater Four Corners Region (in Cortez, Durango, Farmington and Pagosa Springs).